• Values of the sea vessel’s commercial cargo and insurance policies. Spencer's Island lighthouse, located along Minas Channel, was built in 1904, near Mary Celeste's nautical birthplace. Stopping at Boston, Massachusetts on September 1, 1873. Registering at Parrsboro for cargo-carrying. Remains of old wharf near Parrsboro is a reminder of Parrsboro Shore, Mary Celeste's nautical birthplace, as shipbuilding center in northwestern Nova Scotia. Ramming and sinking a brig -- in the Strait of Dover -- en route between the English Channel and the North Sea. Shipping coal, corn, fruits, lumber. He left to master another ship. Troubles returned when shareholder William Thompson’s four-year captaincy ended in November 1867. Hindered by gale during attempts to pick up loads of coal from Glace Bay, Nova Scotia mining town, Mary Celeste, as Amazon, grounded on rocky shores. 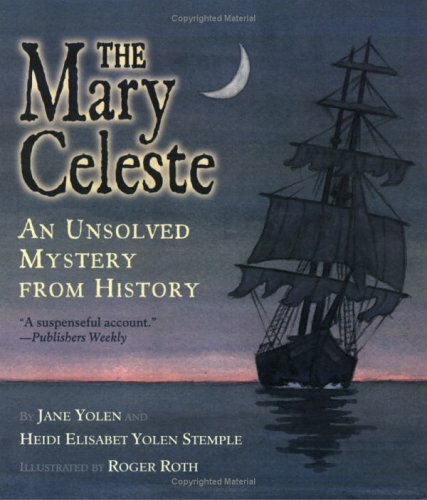 Through a New York customhouse broker as the American-reflagged Mary Celeste. 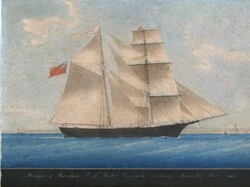 Creditors seized the Mary Celeste for auctioned sale in October 1869. The new owner was New York City-based J.H. 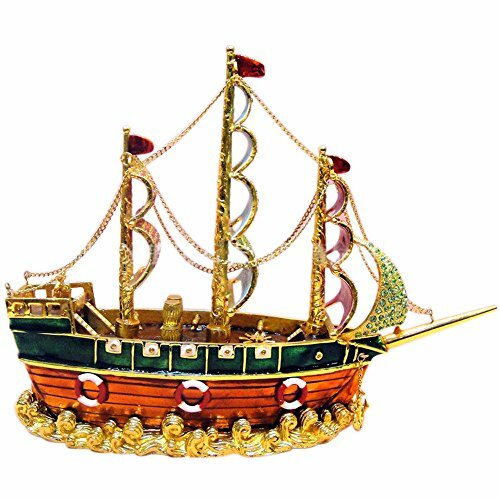 Winchester & Co., Ship Owners and Commission Merchants. Mary Celeste's captain was descended from seagoing family of "Those who go down to the sea in ships, Who do business on great waters" (Psalm 107:23). Owner of New York City’s major shipping company. Sarah Briggs with her son Arthur, who did not accompany his parents and sister on their last voyage. Increasing gross tonnage by 75 tons. But the above-mentioned refit looked different one month later. The last known sighting of the Mary Celeste’s occupants happened in New York. The New York Times identified the brigantines Mary Celeste, Osprey, and Pedro as departing on November 5, 1872. Northeasters nevertheless made the channel crossing impossible. Captain Briggs ordered the Mary Celeste anchored off Staten Island for two days. New York harbor pilot Burnett received $40.00 ($760.00+ in 2014) from Captain Briggs on November 7th for guiding the brigantine through shortcuts across shallows east of the main channel. 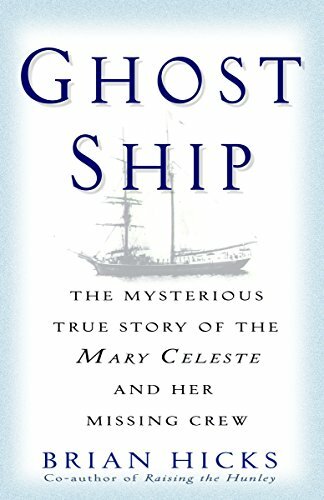 The next known observation -- by Dei Gratia’s captain and crew on December 4, 1872 -- recorded an unoccupied Mary Celeste yawing west of Portugal. What happened in-between remains one of the greatest, most haunting maritime mysteries of all time. Dei Gratia was laid down as a Canadian brigantine in 1871 at Bear River, Nova Scotia and was wrecked during a southeasterly storm on December 27, 1907 at Dale, Pembrokeshire, West Wales. Blumberg, Jess. November 2007. “Abandoned Ship: The Mary Celeste.” Smithsonian Magazine.com: History. Retrieved November 7, 2014. Collins, Paul. “Ghost Ship.” Slate.com: Articles > Culturebox > 2011/12. Retrieved November 7, 2014. Lee, Adrian. 20 May 2006. “Solved: The Mystery of the Mary Celeste.” ucl.ac.uk: UCL News. London, England: University College London. Retrieved November 7, 2014. “Mary Celeste.” NUMA.net: Expeditions. Scottsdale, AZ: National Underwater & Marine Agency. Retrieved November 7, 2014. “The True Story of the Mary Celeste.” Smithsonian Channel.com: Web > Show. Retrieved November 7, 2014. Watt, Jim. 1995. “Mary Celeste – Fact Not Fiction.” Mary Celeste.net. Retrieved November 7, 2014. Williams, Capt. David. 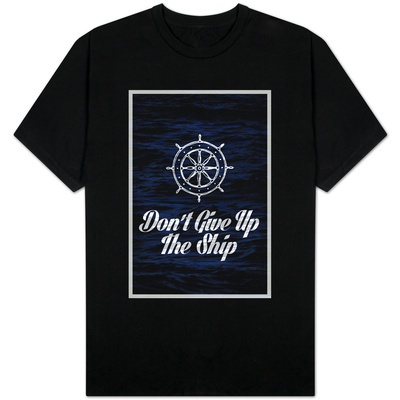 “Mary Celeste Was Abandoned During a Seaquake!” DeafWhale.com. Retrieved November 7, 2014. Yolen Jane. 1999. The Mary Celeste: An Unsolved Mystery from History. New York, NY: Simon & Schuster Books for Young Readers.